You are ready to remodel your kitchen or bathroom but there are so many choices right? Pinterest & Houzz are peppered with pictures of gorgeous kitchens with custom cabinets and granite countertops but the quartz countertops are just as beautiful. And then there is Marble to consider as well. So how do you choose? What’s the best countertop material out there today? Worry no more, we are here to help. First things first, there is no wrong answer here. All of these choices are beautiful and will last you many years to come. It really comes down to personal preference. Here is a breakdown of the difference between each stone that will help you narrow down your choices. Which Natural Stone is right for you? 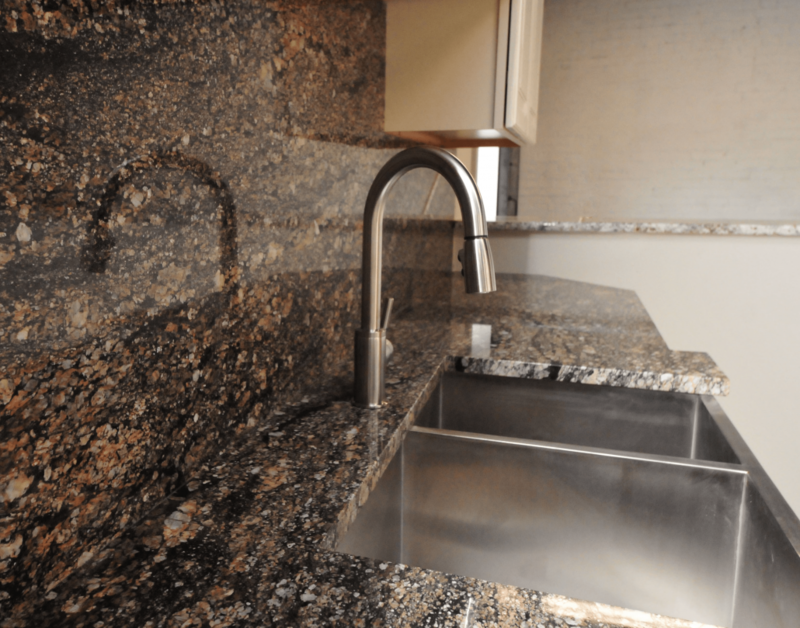 Granite Countertops add style and class to any kitchen, bathroom or bar area. Their strength and durability offer years of timeless enjoyment. Stop into Titan Granite’s 10,000 sf. showroom to browse our selection today. Marble countertops are a classic choice and are sure to deliver elegance to your home. Marble is very popular right now which is why Titan Granite stocks a wide variety of full Marble slabs, including Danby Marble. Quartz countertops bring sophistication to your kitchen, bathroom or bar top area. Titan Granite stocks full Quartz slabs in house, stop by our showroom today to find the perfect stone for your next project. Granite is a very hard stone and can withstand high usage and high heats without damaging the stone. This does not mean it is completely indestructible though. Countertops can chip over time which is why Titan Granite offers a lifetime warranty on all Granite Countertops. If you ever find a chip, we will repair it for you free of charge. Marble is the softest of the three stones and therefore is not often used in Kitchens. Marble is more prone to scratches and staining since it is softer but is still used in kitchens, bathrooms and furniture pieces. Quartz is also very hard but it cannot withstand as high of temperatures as Granite. It is not recommended to ever set a hot pot or pan directly onto your Quartz surfaces. Doing so could burn or discolor your countertop which is irreparable. Granite used for countertops is mined in granite quarries across the world. It is a 100% natural stone that comes from the earth. 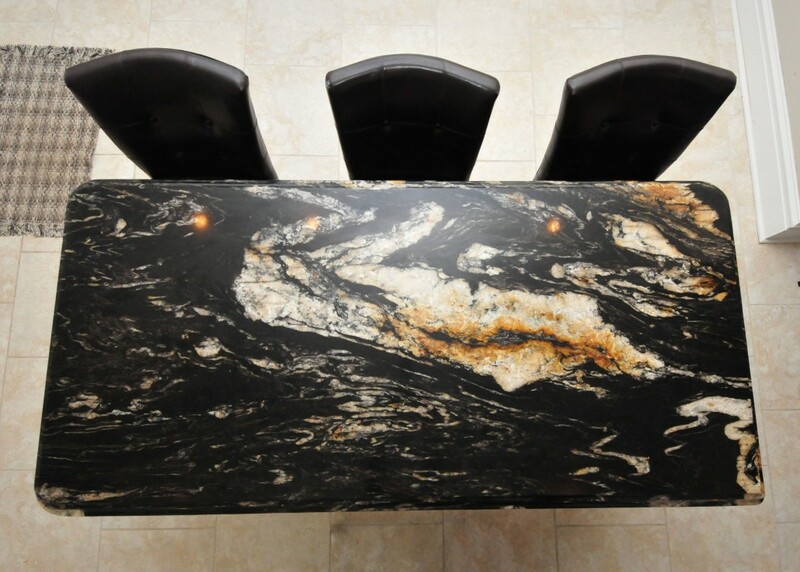 It is cut into slabs which are then cut and polished to produce granite countertops. Marble, similar to Granite is a 100% natural stone mined from the earth. It is also imported from marble quarries around the world, cut into slabs then cut and polished to create countertops. Quartz is a man-made product. It is made by combining various types of natural quartz with resin and coloring, the typical breakdown is approximately 93% quartz and 7% resin. While still considered a “Natural Stone” it is not made of 100% natural products. The color options for granite countertops are endless. No two granite slabs are exactly alike. Some color options are more patterned and consistent while others will have lots of movement, veins and colors throughout. Marble is a classic and timeless stone. It is often seen in bright white color that you don’t necessarily find in granite. It does however come in colors other than white. 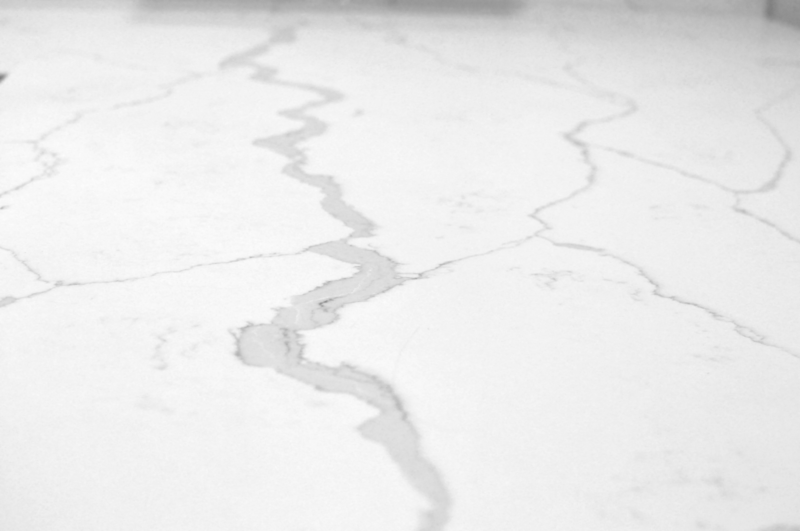 Marble’s distinct feature is the large, unpredictable veining throughout the stone. 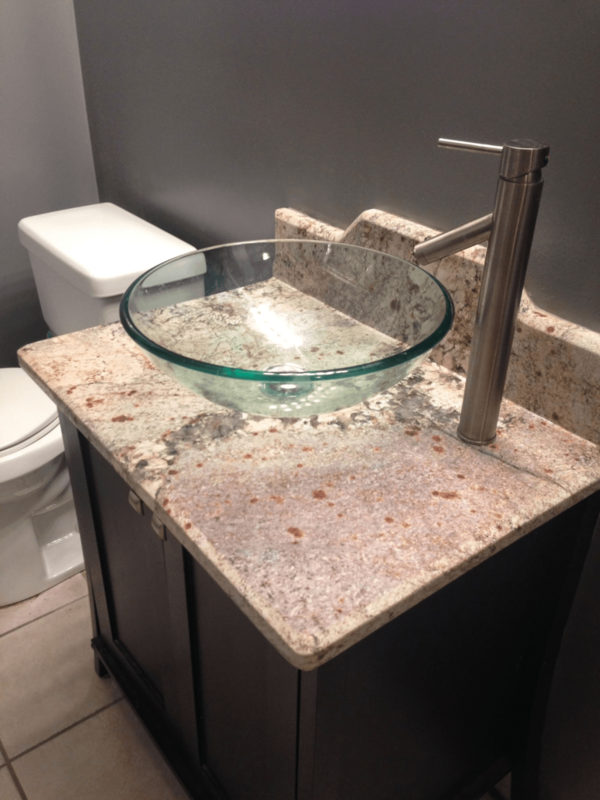 Since quartz is man-made, manufacturers continue to produce new color options. Typically, quartz countertops are consistent in pattern, appearing as if the countertop is one solid color of stone. Granite is a porous stone and does require sealing. Without proper sealing, staining and discoloration can occur. Marble is also a porous stone and does require sealing. It is also often seen in light colors which makes Marble the most susceptible to staining. Stone sealants have come a long way however, and they will protect your countertops when used properly. Quartz is the only stone, out of the three, that does not require sealing. It is not porous therefore it is more resistant to staining making quartz a popular, maintenance-free countertop choice. Titan Granite is a certified applicator of DryTreat sealing products. We have found that DryTreat stands behind their product and is the best in protecting your stone countertops. We offer three sealant options, ask your sales rep about sealing your new countertops. Lifetime sealer – Applied prior to installation, never seal your countertops again! 15 Year Sealer – Applied after installation, guaranteed to last for 15 years. 1 year Sealer – Applied after installation, needs to be reapplied each year. Granite countertops have become much more affordable over the past few years. At Titan Granite you can purchase granite countertops starting at $29.99/square foot installed. Pricing on marble countertops is comparable to quartz and higher category granite slabs. As with any natural stone, price is determined by the characteristics of the stone. The more unique or rare the stone, the higher the price.